The Varnished Culture has spoken before on this matter: see, for example, our ruminations concerning the Narrow Mind of Genius, Modern Culture, This Whiteley Business, and particularly, Onward! and Modern Art Theory. O, intriguing monochrome! O, quality of stillness! Deciphered stories! There’s something depressing in the relentlessness of the trend towards tossed-off, doctrinaire trash, and we regret to report that fair Melbourne has its fair share of it: see for example, the ‘installation’ (main image) that appeared, complete with safety-tape, adjacent Hamer Hall and the Arts Theatre this month. One would have imagined that modern art was overstocked with irony, the refuge of the lazy and the talentless. But no, it endures and grows apace. 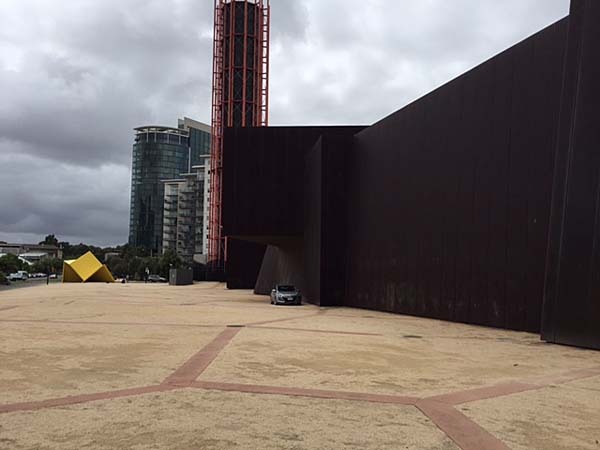 Today, TVC squared its collective shoulders and marched into the teeth of a chill, damp wind, to visit the grandly-named (but ironically caps-off) australian centre for contemporary art, a building slightly reminiscent of Mauthausen. The ACCA had a bunch of staff busy doing nothing. They explained, politely and in a friendly fashion, that ACCA was closed, to enable the installation of the new installation. 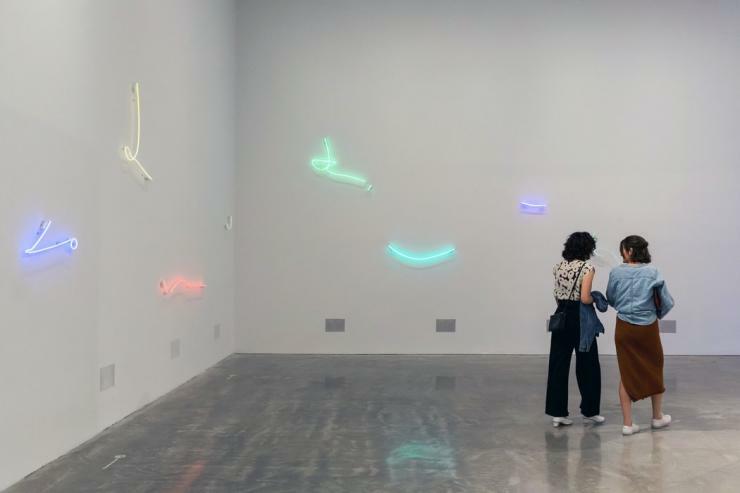 So we were turned away into the cold and windswept concrete canyons of Melbourne’s contemporary art district. Shame: we therefore missed “Sovereignty”, described as a ‘diverse range of discursive and thematic contexts…the celebration and assertion of cultural identity and resistance; the significance and inter-connectedness of Country, people and place; the renewal and re-inscription of cultural languages and practices; the importance of matriarchal culture and wisdom; the dynamic relations between activism and aesthetics; and a playfulness with language and signs in contemporary society.’ Can’t wait. We once thought that the only thing funnier than a libertarian Marxist was an anarcho-syndicalist. Yet we now concede that a situationist is even more risible, especially a French situationist. 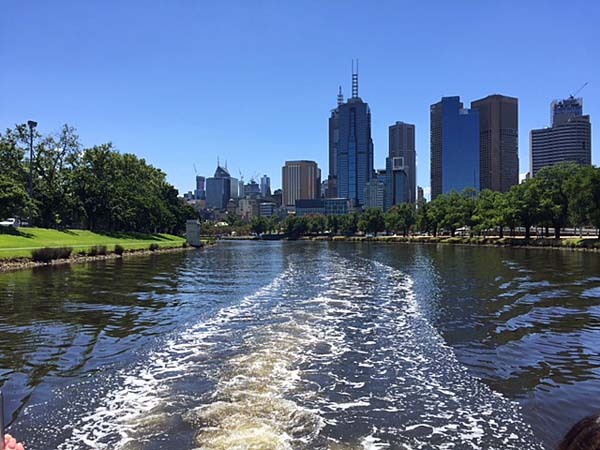 Better to walk outside and sail up the pleasant Yarra River, taking in some scenery.